Have you had the chance to try our newest dish the Milanesa yet? This chicken-fried steak is a classic dish in Mexico City. In fact, in Mexico Milanesa typically just references the way that the food is prepared. For Milanesa dishes, the meat is pounded very thin and breaded, and then deep fried. Our Milanesa dish features a tender piece of chicken-fried steak with a fresh salad and Mexican rice on the side. This meal is hearty and we are certain it will leave you satisfied without feeling overstuffed. Also, if you haven’t yet joined our e-club, now is the time to do it! You will receive a FREE appetizer ($7 or less) once you sign up. 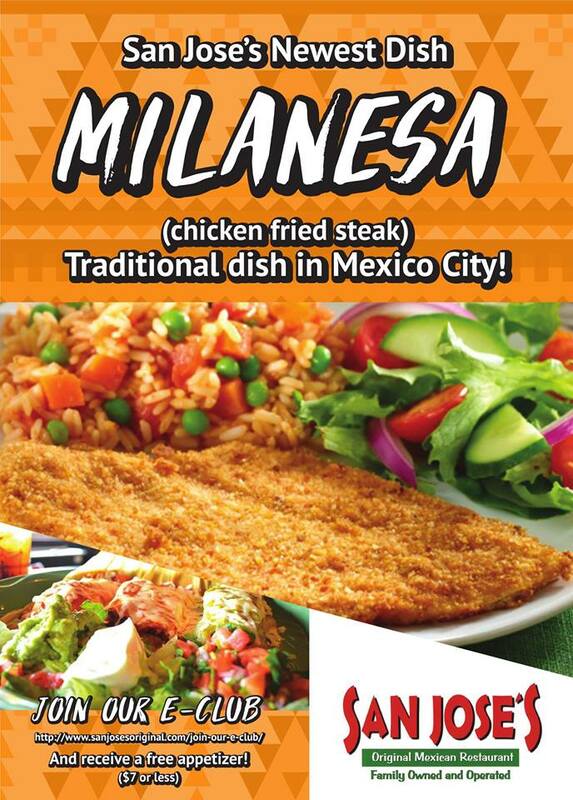 So head over to our website and join today before you stop in to try our latest authentic Mexican dish, the Milanesa! We’ll see you at dinner!